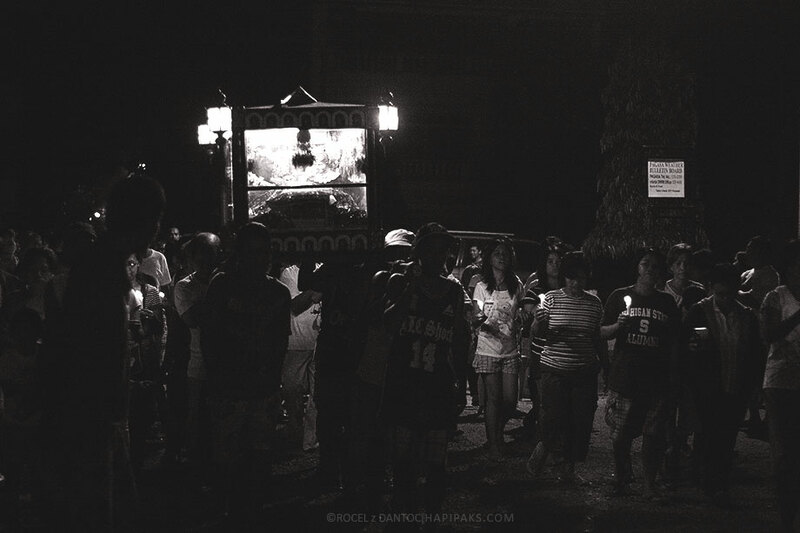 Just a few people roamed the dimly lit streets of this sleepy town when we arrived at Infanta at about 4am. Thinking we arrived early, we were not in a hurry to prepare our photography gear. 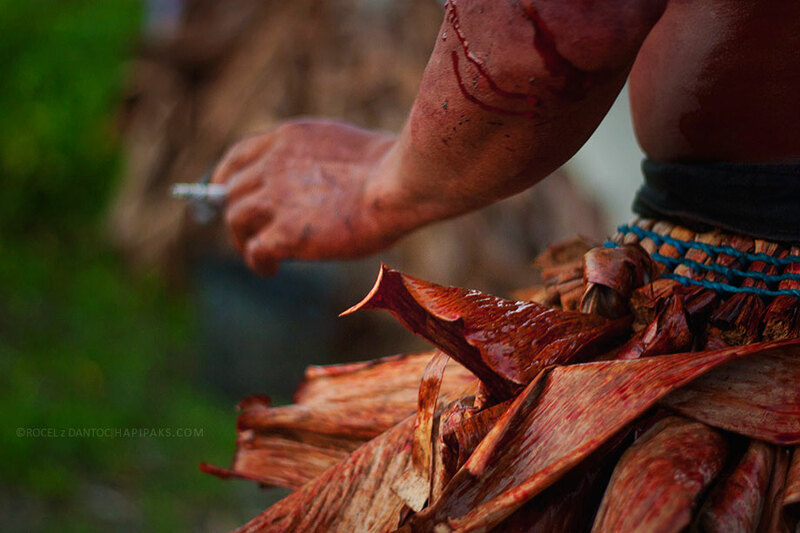 We were surprised when we suddenly heard a clacking and swishing sound and noticed some splashes of blood as flagellants passed by our vehicle. 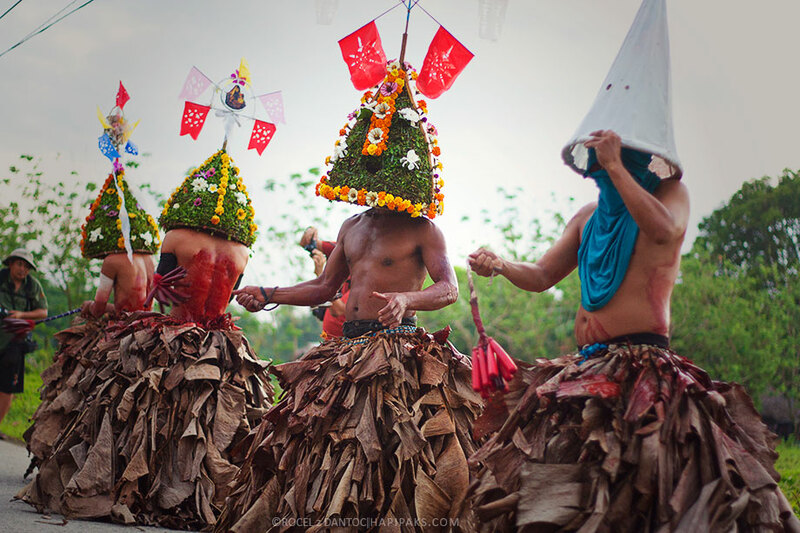 We immediately rushed to the direction of the dancing flagellants and a procession soon followed to start this long time tradition of Catholics. 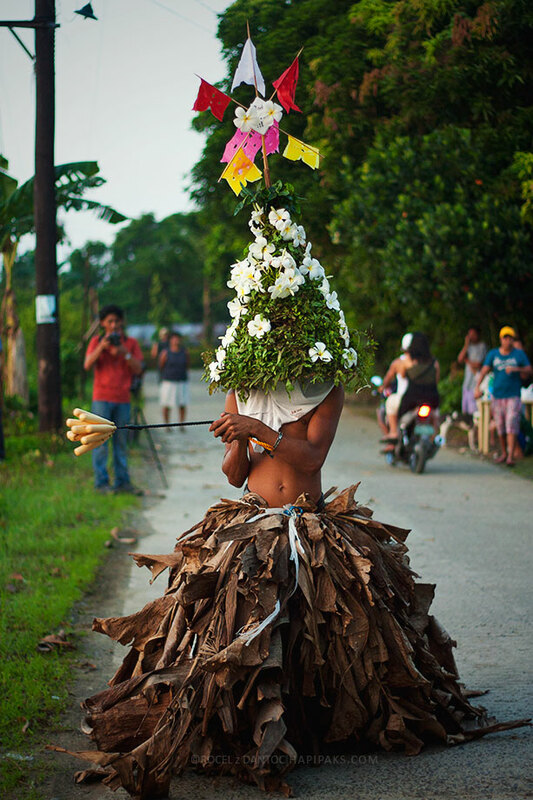 What sets the people of Infanta apart from other towns practicing this tradition is how they dress up. 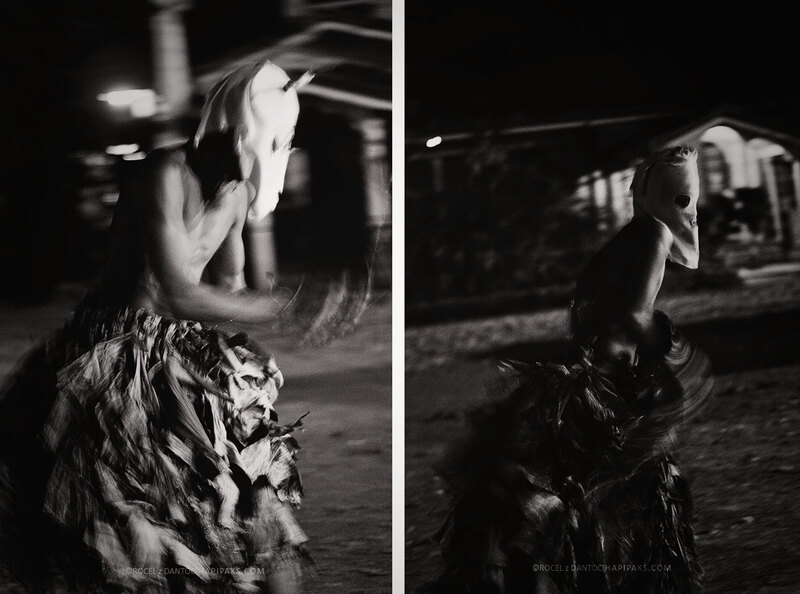 They wear a “saya” which is a skirt made of dried banana leaves and combined with dancing while flogging, explains the swishing sound they make as they march for procession. 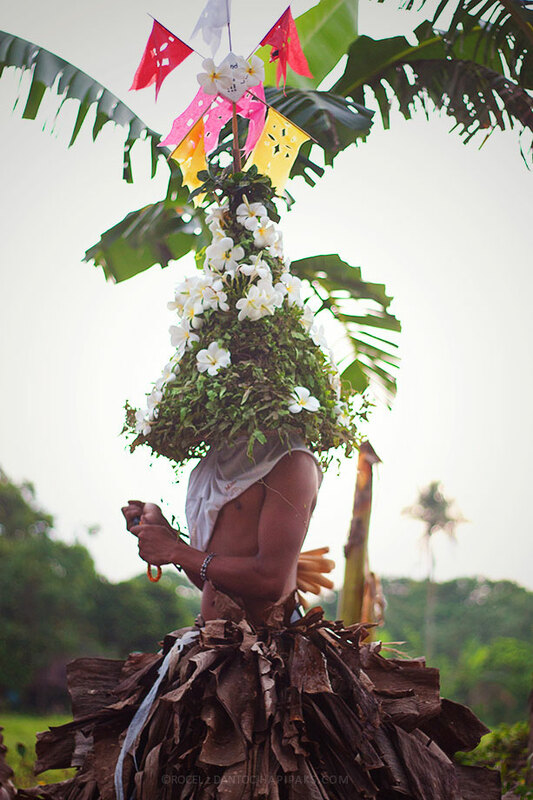 Most of them also wear a hood or headdress, “tukarol” made of bamboo and leaves usually decorated with flowers, colorful flags and religious images. If it wasn’t a bloody practice, this could be a fun and colorful tradition. 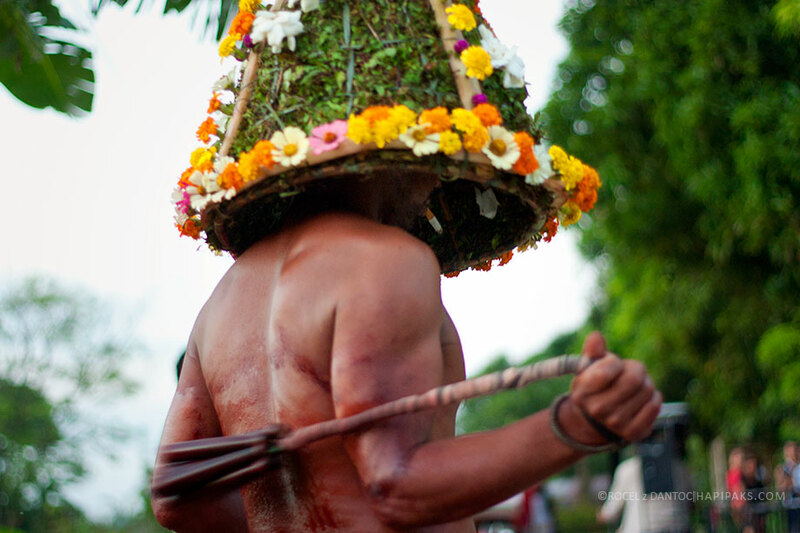 Self-flagellation is considered as a sacrificial act of penance to atone a person’s sins. 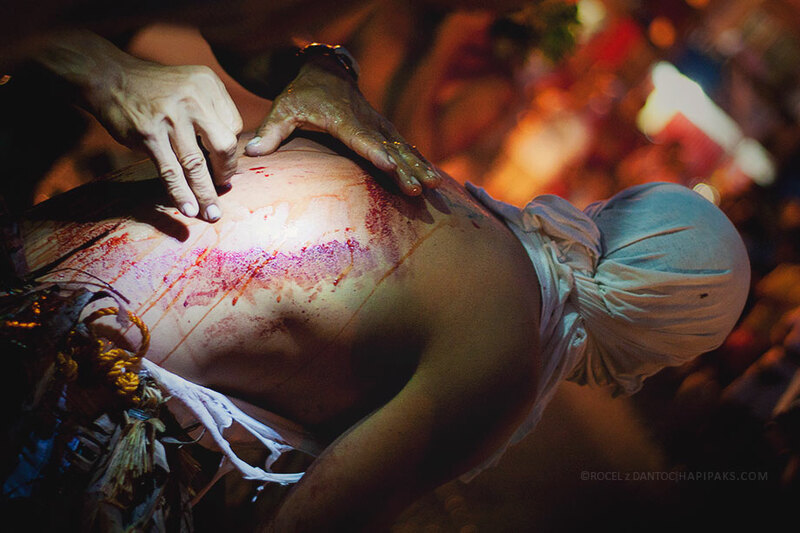 Many are divided on this, as even the Catholic Church condemns this act of self-torture. 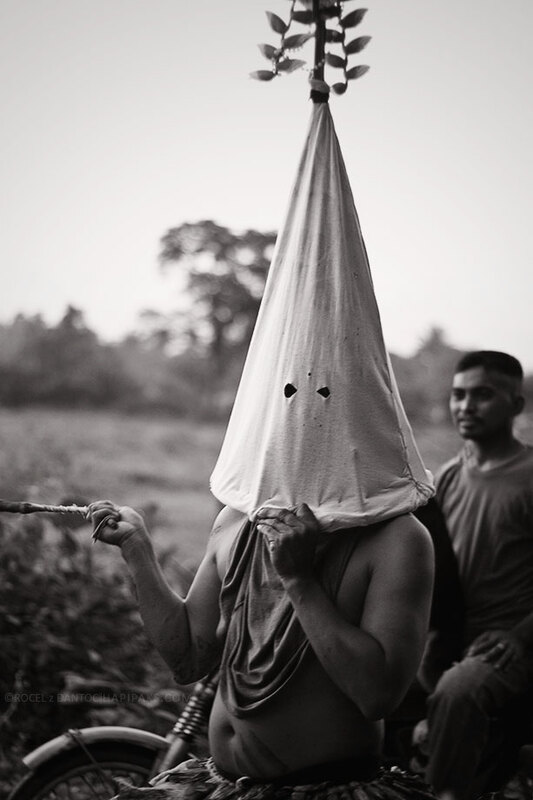 But countries such as the Philippines with majority of the population are practicing Catholics, are still locked up in this tradition of punishment. 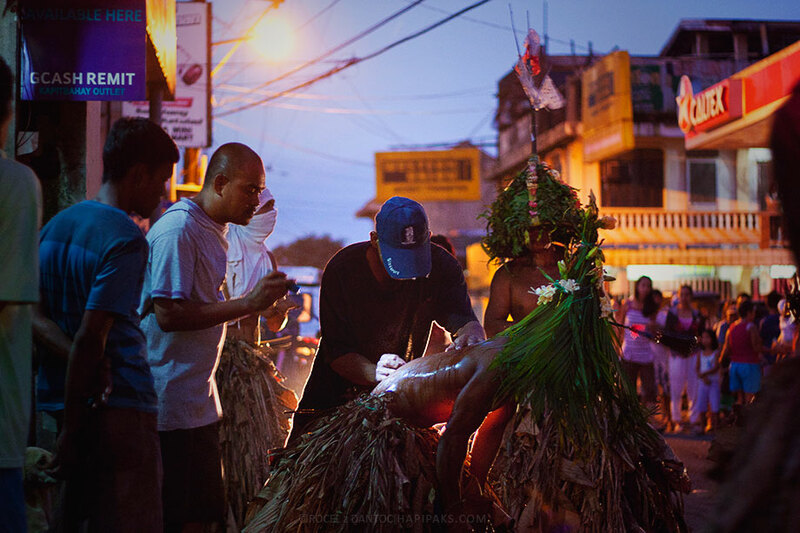 Agree or disagree, this Semana Santa tradition has become more of a yearly spectacle that draws thousands of visitors to witness this seemingly “growing” tradition in the Philippines. 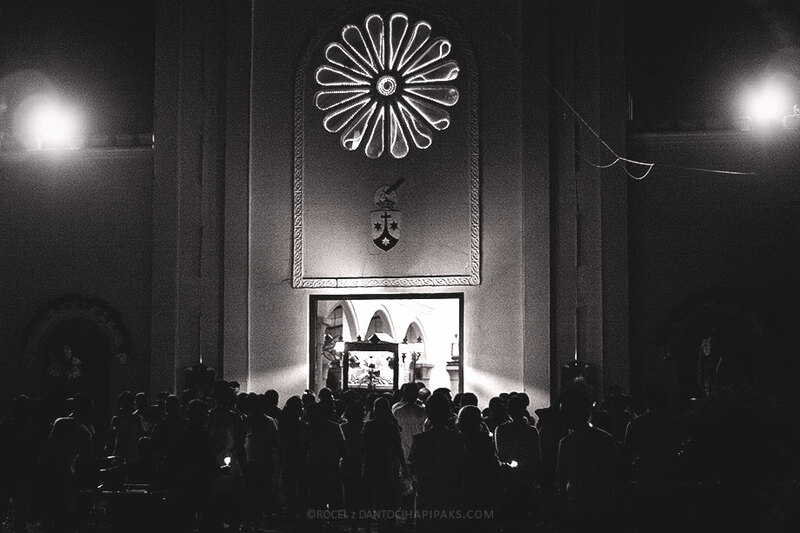 On Good Friday, they start as early as 3-4 AM. 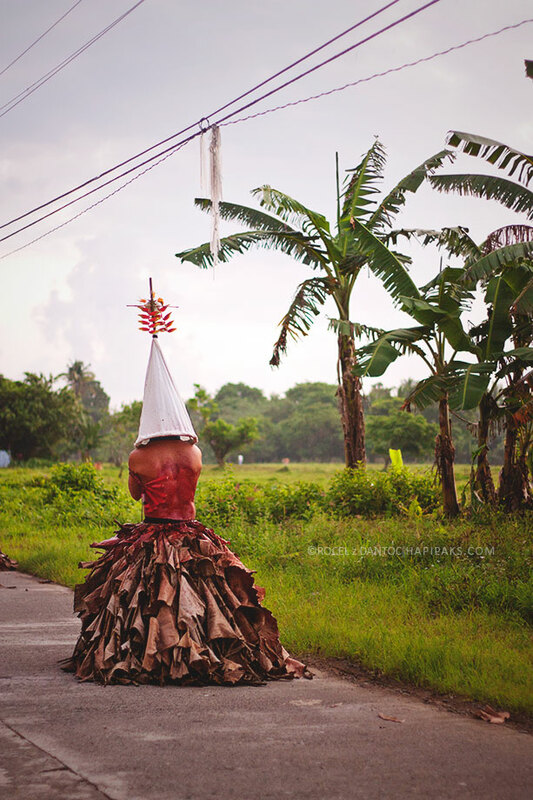 Unlike the more known flagellants of Pampanga, where they start this flogging tradition later during the day with re-enactment of Christ’s crucifixion, Infanta flagellants start at dawn and end just moments after sunrise. 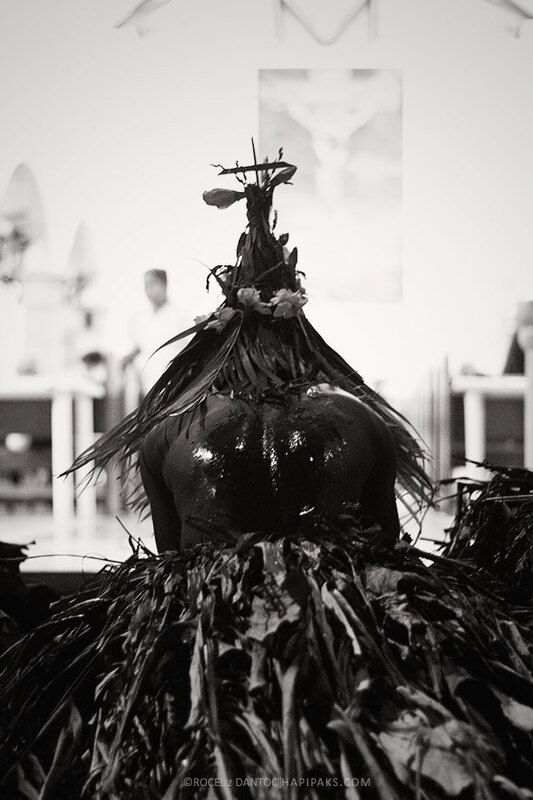 The procession ends where they wash themselves at the sea.